When it comes to window film, there are high quality and lower quality films that aim to do the same thing but won’t do them for as long. High quality window tinting can last a lifetime, if installed and cared for correctly. To help you distinguish between high and lower quality film, we take a look at 5 types of window tint and how to make your tint last. Dyed window film is among the inexpensive film currently on the market. The tint can add color to your windows and can protect against the harmful UV rays of the sun. Dyed window film looks different on different windows – in your home it could look opaque from the outside, while it could look black when applied to the windows of a vehicle. On the down side, dyed window film is not designed to stand the test of time as it will fade and as it does, your UV protection will too. Metallic window film is similar to dyed window film as it can add color to windows and reduce the amount of heat absorbed by your windows. It is stronger than dyed film as it is made up of tiny particles that strengthen your windows to make them more shatterproof. Although stronger than dyed film, metallic window film can limit your radio reception, GPS and cellphone network. Ceramic window film is one of the most durable films available and is a great investment. It reduces heat and protects while remaining crystal clear. The benefits of ceramic film are endless, it provides up to 90% protection against infrared rays and is 99% effective in protecting blocking UV rays. Crystalline window film is a metal free window film and is a great choice for mobile tint as it goes beyond aesthetic appeal. The tint is designed to protect passengers and drivers. Crystalline window film is darker and as result, absorbs less heat, with up to 99.9% UV protection. It also reduces infrared rays by up to 97% and still allows visible light to enter your vehicle but is less reflective than other types of window films resulting in safer diving. If you’re looking for a matte, non-reflective or black finish, carbon window film is for you. The film can block up to 40% heat, providing for a cooler home or vehicle. Unlike lower quality films, this tint will not fade once installed, saving you more money in the long run as you won’t have to keep replacing your film. A number of factors can influence your window film’s lifespan. 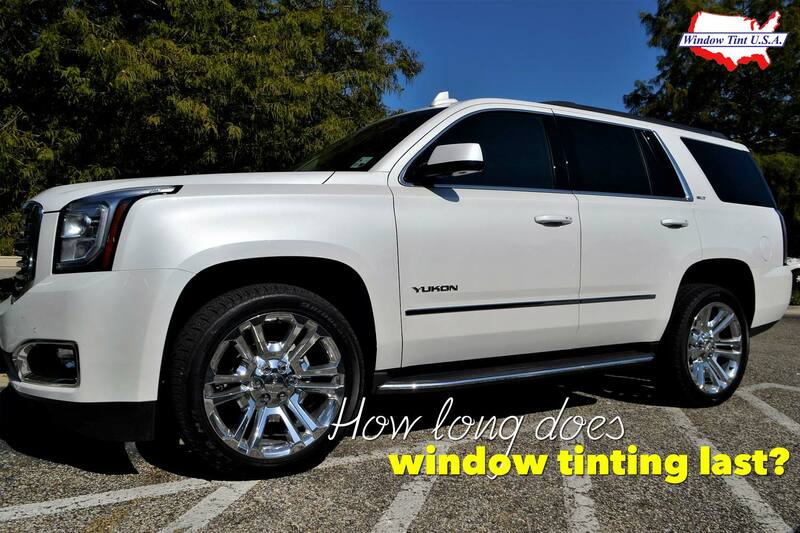 These include weather conditions, daily wear and tear and whether your tint was left to rest during installation. When caring for your window film, be sure to use the correct cleaning products – products that contain ammonia and are high acid can cause your window film to lift or peel. Try to avoid scratches by pets or young children as small scratches can lead to tears that damage your window film. When choosing a window film installation company, do your homework properly and find one that has a proven track record as poorly installed film will need replacement sooner.